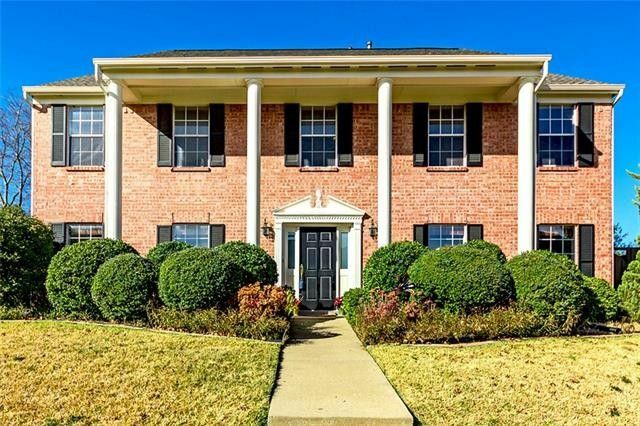 Beautiful five bedroom home with great curb appeal and large trees located in highly desirable Plano ISD. Nestled on an quiet, interior street, this home is great for every home buyer! This home boasts 2 living areas, 2 dining areas, large open kitchen great for entertaining, Crown molding in formal living, dining and family room. Chair-rail molding in dining. Fresh interior paint and new flooring. Master suite has garden tub, large separate shower, double sinks and walk in closets. Light, bright and open throughout! New Roof 2016! Large backyard! This home is located close to 2 greenbelts and parks with play grounds, 2 golf courses, close to Hwy 190 & Hwy 75. Directions: From 75 exit Parker, turn right on San Gabriel Drive, Turn left on Meriman Drive, Take right on Jeker.